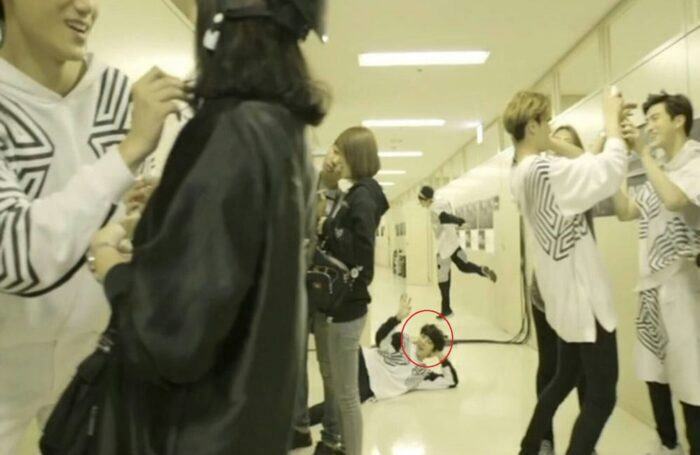 Thanks to this talent, Chanyeol has officially added the nickname of the “most hilarious picture” of Kpop. 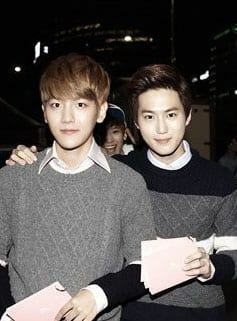 Not only attracting fans with the appearance and impressive talents, EXO members also make fans laugh with their humorous personality. 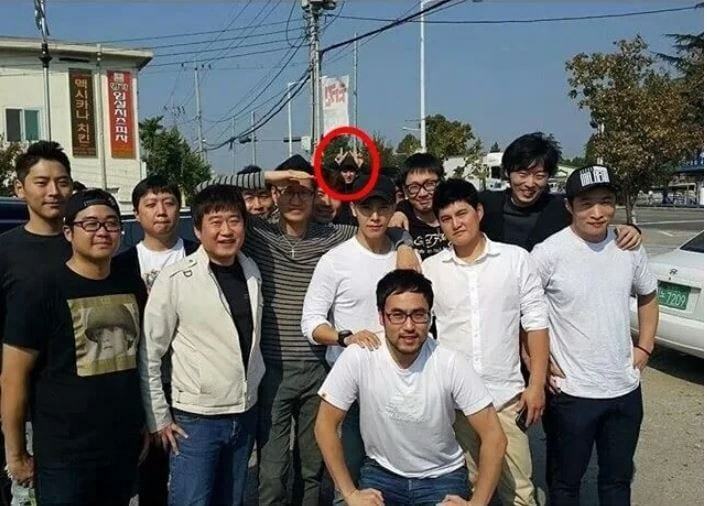 And among them, a famous comedy of the group, ready to show the game anytime and anywhere in the group is none other than Chanyeol. 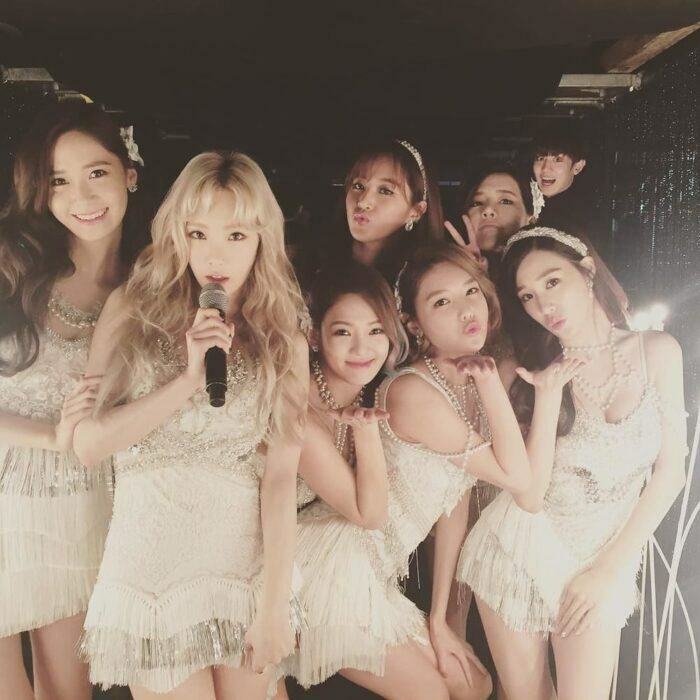 Moreover, owning a 1m86 height is extremely impressive, so there are many times when the members of the group are covered by Chanyeol. Having accidentally occupied another person’s spotlight, he just kept showing one game after another to “rob” the whole attention of the fan. At the end of last year, he also showed off about his ability to dance and was favored with the nickname “The fan dance master” of Kpop. 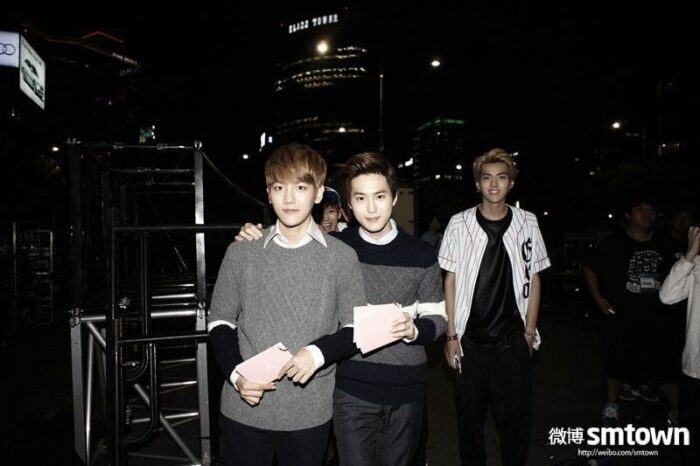 Recently, many people discovered that EXO’s rapper also has a new nickname “Photobomb master”. 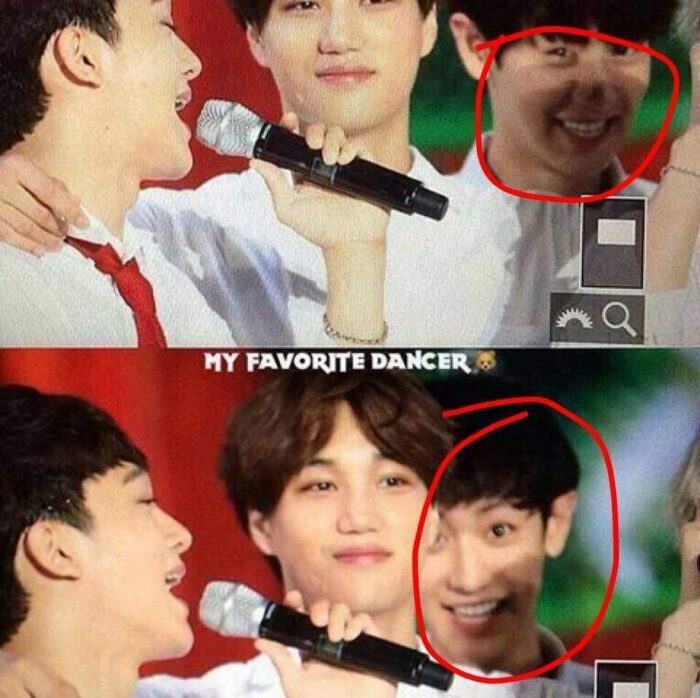 It’s unknown that because of unintentional or intentional, but wherever there is a lens, Chanyeol appeared there with expressions that fans look at just want to hide because of shame. 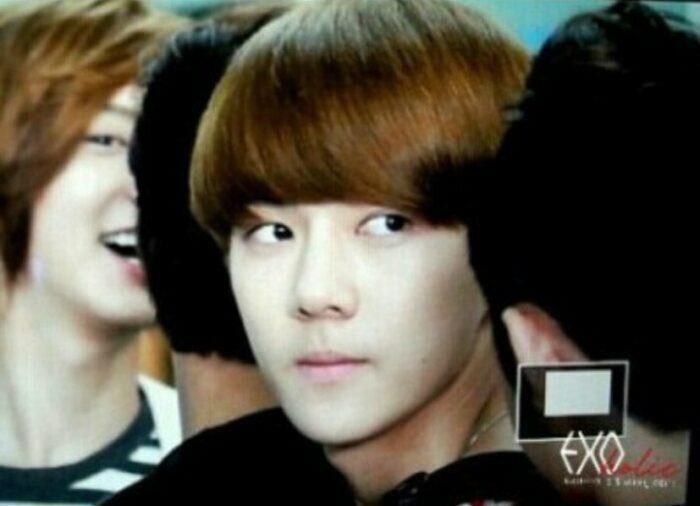 SNSD’s manager is just as handsome as Chanyeol! So scary! You stand behind me! Chilling in the rose garden but he did not forget to photobomb a picture. 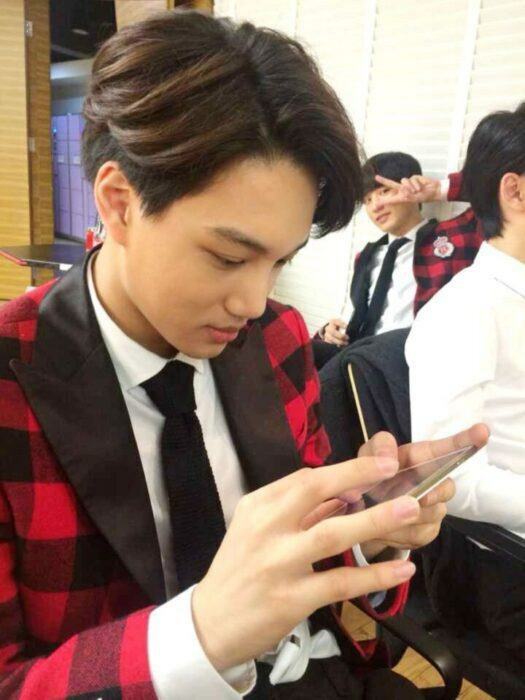 This is a photo showing Kai’s handsome angle, until he was behind. If you don’t want to show your face, then use the style like this! 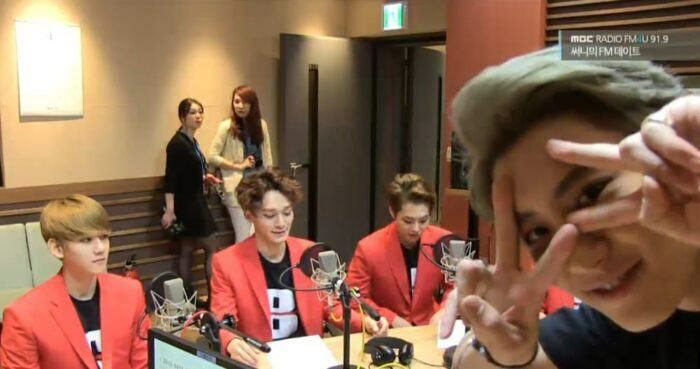 Chanyeol must apologize to Kai again. Have to go near the camera so you can see me better! 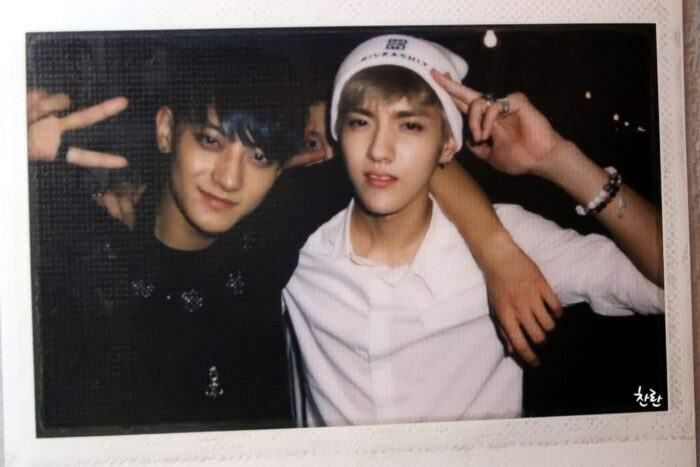 Who is the cheerful brother behind you? The center in the midst of the picture who still has to show up before the lens. D.O. just can’t say anything else. Funny! This is not intentional! Naturally the lens kept popping at him! When you are interviewing, some “criminal” is showing up in the back. 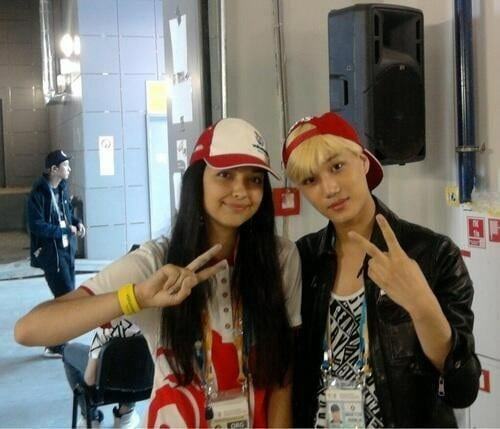 This girl is so lucky, just being taken photos with Chen is lucky enough, now she is also “given” more handsome man behind!! 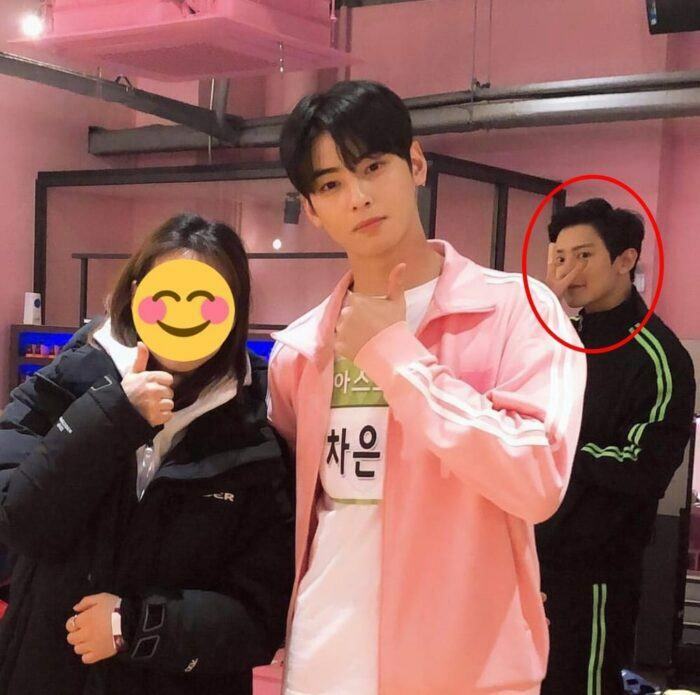 What are you doing, you’re photobombing your brother out of nowhere! Chanyeol’s classic performance of “holy-image”. 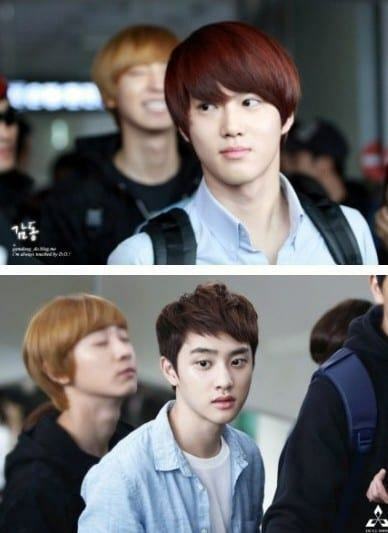 After looking at this series of moments, it is no wonder that Chanyeol is nicknamed the No. 1 “holy figure” of entertainment. 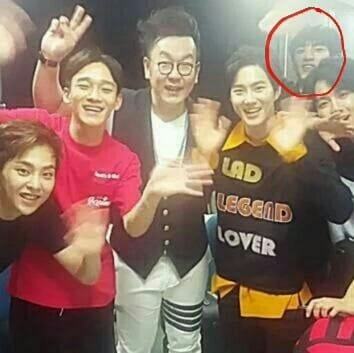 Not only EXO but Chanyeol’s photobomb of many other idols are also funny, so, if you hold up the lens, you will never be able to “avoid” this hilarious guy.